The company has recently announced new updates for its Skype and Skype Qik apps aimed at offering both Android and iOS users an improved way to communicate with others. First of all, the update brings 12 new languages for the app on iOS, such as Croatian, Turkish, Malay, Estonian, Hungarian, Hindi, Slovak, Indonesian, Greek, Thai, Vietnamese and Catalan, giving users the possibility to try localization in Skype. 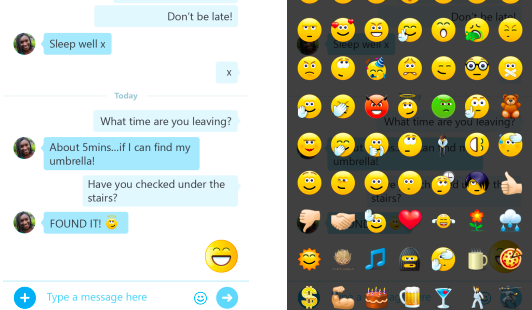 Microsoft has also included a bubble-style layout to chat plus support for custom emojis available for Android, as well as a new speech to text function compatible with Android Auto experience. There’s also the possibility to view and change avatars in group chats. As for the Skype Qick update, Microsoft introduced 8 fresh video effects which make them “more fun and playful”, and the 1.5 version is available for Android, iOS and Windows devices.